The largest and oldest Czech museum was founded in 1818. 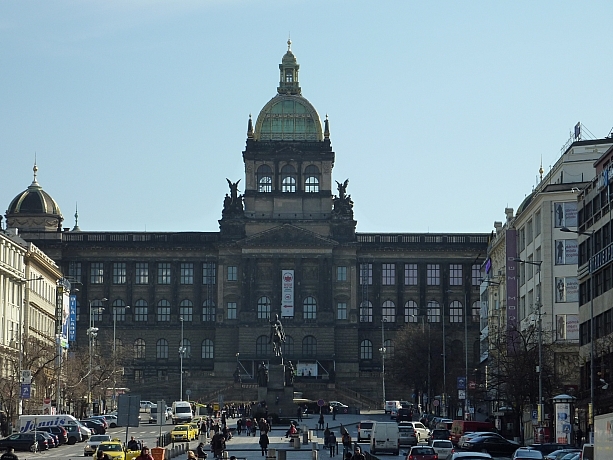 Its collections are housed in a monumental Neo-renaissance building built from 1885 – 1890 dominating the top of Wenceslas Square. Permanent exhibitions: Primeval history of the Czech „ands and Slovakia, Mineralogical and petrological collections, zoological collection, palaeontological collection, anthropological collection.